Another responsibility…another thing I had to do. I wasn’t thinking fun, I was thinking dread…and lies. It’s bad enough I lie to my children about Santa but I was going to have to carry on this charade of the little messenger who cannot be touched and flies home to Santa every night…. watching our every move in the meantime? But I wasn’t that into it, but the kids thought it was fun so, whatever. This year, I have been taking a different approach, looking at it from a different perspective. Who, is allowed to be touched by the kids this year because it’s more fun for me that way. …AND! isn’t even named because we forgot the name we used last year and the kids can’t agree on a name this year…. and since I have a fear of commitment, I did not end up writing his name in the book last year. The Elf typed a kind letter to the kids, complimenting them on their kindness, forgiveness and compassion. Although they fight like crazy and loose their cool often, we all appreciate their efforts. And we all love them. Creativity is energy, we are energy. Energy can flow and it can be contained. Either way, it’s got to go somewhere. A lot of the time, it’s emotion: energy in motion. For Christmas, but not limited to, it can be gift-giving. 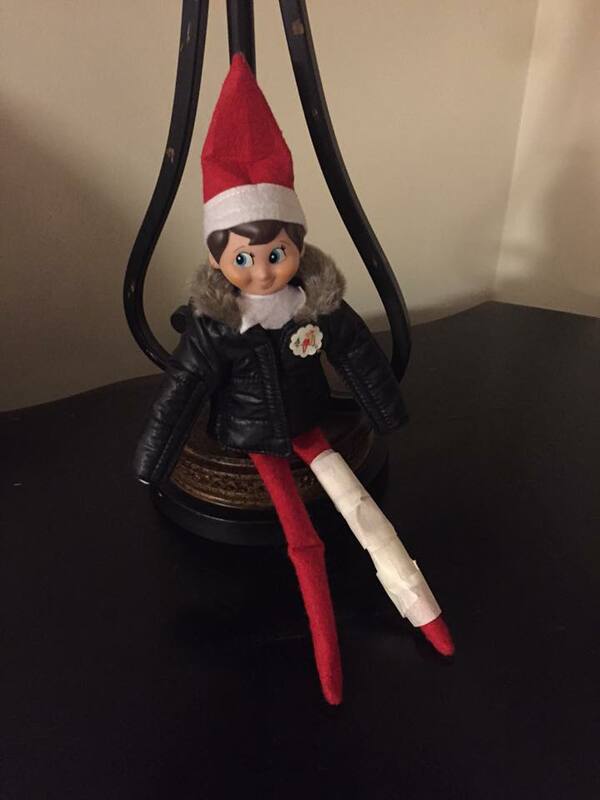 For me, this year, good ‘ol maybe-will-be-named-later-maybe-not Elf became an outlet of creativity. He may not have brought many tangible gifts, or dropped hershey kisses into the toilet, but he has become a little project for me in which I can bring inspiration to our tribe. Thank you for sharing your Elf on the Shelf art displays, they are adorable, creative and appreciated…because you made them with love, for your kids. Gotta love the Elf that cannot move! Christmas will be here soon, friend….